Fundraiser by Luis Manuel Hernandez : Luis needs your help!!! Hi! 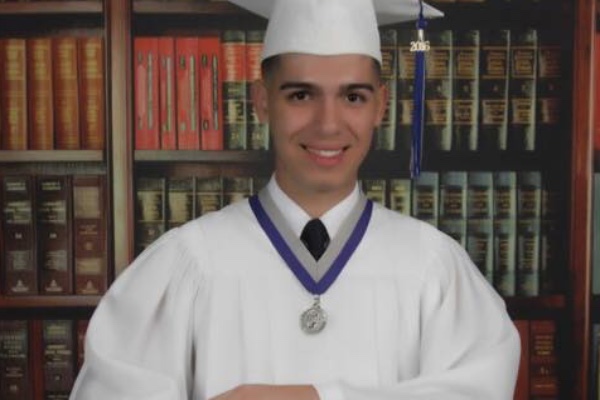 My name is Luis Hernandez and I'm studying Pre-Medicine at Miami Dade College, to become a doctor. I'm a straight A's student. I'm an active member of Phi Thetta Kappa, which is the largest and most prestigious honor society of the world for college students. And I'm planning in doing some volunteer work at the Miami's Children Hospital. Not long ago I applied on the Atlantis Project for an Internship in Europe and I got accepted. By participating in an Atlantis Fellowship, students spend roughly 100 hours shadowing doctors in multiple specialties in hospitals abroad. This high level of medical exposure affords students the opportunity to view medicine in action and guides them in their decision to continue to pursue medicine as a vocation. Medical schools naturally prefer to accept students who have demonstrated a devotion to the medical field as well as an understanding of what life as a physician entails. One of the best ways that students can demonstrate this devotion and understanding is to shadow doctors. In addition to providing the shadowing experience that proves a commitment to the profession, the Atlantis Fellowship helps students improve their med school applications through extra opportunities such as volunteering, medical humanities research, and MCAT and AMCAS prep. With The Atlantis Project I will be able to shadow doctors, and learn more about medicine. All the procedures, how to treat patients and a lot of other things. However, the fees for this once in a lifetime opportunity is beyond my financial capability. Nevertheless, with the help of my family, my friends and supporters, I know I will achieve my goal of $5,699 with the help of you guys.